A Litter Free Dallas starts with me! 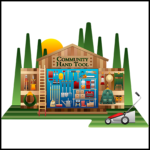 Use the resources below to volunteer, borrow tools for your neighborhood cleanup and report litter or illegal dumping. More than 60 groups collected 48 tons of trash this October during Operation Beautification! Visit the Neighborhood Vitality link below to learn more. Need to report illegal dumping? 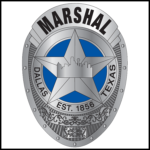 Visit the Dallas Marshal's Office link below. The most common reasons people litter: they do not feel connected to the area; they think someone else will clean it; there are no containers nearby; existing litter makes it okay to litter. The Nuisance Abatement Division offers a Community Hand Tool Program which is designed to provide volunteer groups with equipment to clean up litter, mow grass, and cut vegetation in their neighborhood for weekend clean-up projects or other beautification events. 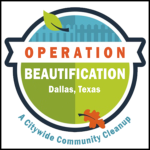 Operation Beautification is a Citywide Community Cleanup Program. Residents, Neighborhood Associations, Civic, Faith-Based and Crime Watch groups, schools and businesses are invited to participate in this citywide cleaning spree! Trinity Watershed Management: Join T.R.U.E. 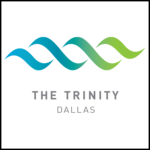 The Trinity River Urban Environment (TRUE) Team assists with litter and trash removal, trail maintenance, and environmental restoration efforts along the 10,000 acres of the Trinity River Corridor. Park and Recreation: Be Amazing! Volunteer! Volunteers are the heart of the Park & Recreation department. They help keep parks beautiful and humming with activity by sharing skills, contributing time, and enhancing our lives. Schedule a clean-up by contacting our Volunteer Coordinator. 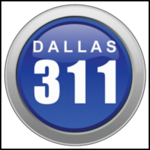 Please contact Dallas 311 to report litter, illegal dumping, or to schedule Operation Beautification/Community Cleanups. The Dallas City Marshal’s Office responds to illegal dumping activities in Dallas. If you see someone dumping, call 9-1-1 immediately and do not approach. If you find an illegal dump site, call 3-1-1 or visit the Dallas City Marshal webpage for the link to report it. 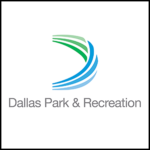 Keep Dallas Beautiful’s mission is to improve environmental quality in Dallas by working with neighborhoods and their grass-roots community organizations on litter reduction, recycling education and beautification. Groundwork Dallas is dedicated to improving the natural surroundings of Dallas and beyond. The organization works closely with area citizens, like-minded organizations, and the city to help realize a vision of a safer, cleaner, and healthier environment. The Trinity River Watershed “Adopt-a-Spot” site and Online Mapping Tool Project was created to foster a litter-free environment in the Trinity River Basin and track trash removal activities. When you see litter thrown or flying out of a vehicle, intentionally or accidentally, take down their information and report it.